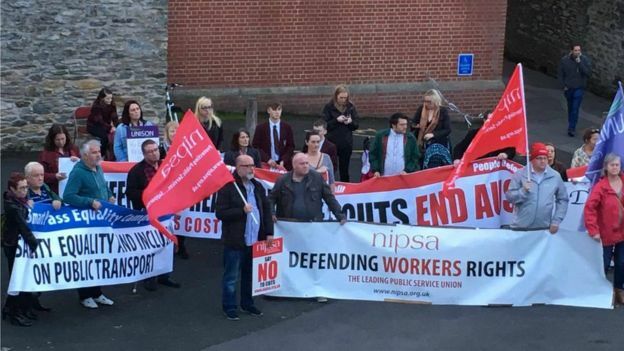 DUP MLA Gary Middleton and colleague former Derry Mayor Hilary McClintock were heckled at a public meeting in Derry over savage cuts to the health service. The pair said they left the meeting called to discuss cuts of around £12 million to the Western Trust’s 2017/18 budget over concerns for their personal safety. 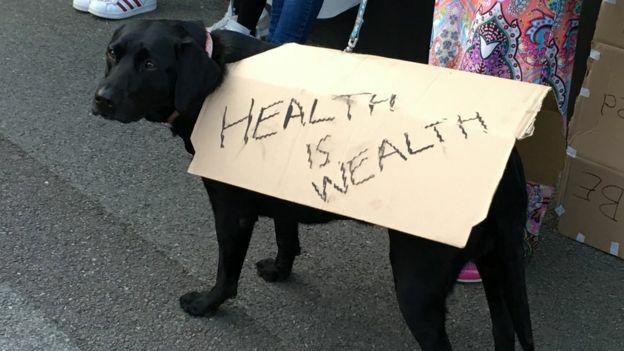 The Western Trust held the event at the city’s Verbal Arts Centre on Tuesday evening in an effort to consult the public on proposed cuts to the health service. Foyle MLA Gary Middleton said he and councillor Hilary McClintock were “intimidated and heckled”. “A significant number of those in attendance turned on myself and my colleague and basically heckled us and shouted us down,” he said. Mr Middleton said the level of “aggression” was unacceptable. DUP leader Arlene Foster has said it is “disgraceful” DUP members were heckled at a public meeting in Londonderry and had to leave amid safety concerns. Former MLA and local trade union activist Eamonn McCann said the reason why feelings ran so high last night was because people were “at the end of their tether trying to deal with the cuts which have already been inflicted on our health service”. “For many, the threat of further cuts is nothing short of frightening. 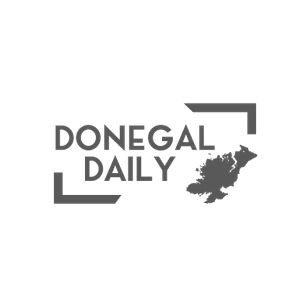 “Services for people with disabilities, residential homes for the elderly, hundreds waiting in pain for hip or knee replacements, thousands dependent on domiciliary care and many, many others are all threatened with an even worse deal. “We are being asked, for example, to choose between closing William Street residential home or Rectory Field in the Waterside – with all the connotations that would entail. “To “consult” on which should be axed is to accept that one of them must go. We should say, no. “It is self-evident that we are not going to beat the cuts by polite lobbying or conventional political action. We need a mass movement against austerity, we need industrial action and, if necessary, civil disobedience. “Some political parties dismiss this as wild talk, say it will never happen. One of the reasons they believe it won’t happen is that they denounce the idea at every turn, rather than join with us in trying to build a movement with the potential to save the NHS – and the public service generally. “None of the main parties has any plan of their own to defeat the cuts agenda. Dr Anne Kilgallen, chief executive of the Western Trust, was also heckled as she attempted to give the opening presentation. “People feel very strongly about the proposals that we’re consulting on, they are very exercised,” she said. SDLP MLA Mark H Durkan, who was also at the meeting, said some behaviour crossed the line. “The conduct of some people who should really know better, left a lot to be desired,” he said. “Trust staff were shouted down and verbally abused. The meeting continued after the disruption. Feelings are running very high in Derry over the £12 million proposed cuts which will affect all parts of health services provided by the Trust. Margaret Ashford has family living in William Street care home in Derry, one of those under threat of closure. “There’s the psychological effect of being moved from one place to another, it’s very unfair,” she said. “All those residents are sitting six weeks waiting, it’s mental torture. Ms Ashford added that she did not think the DUP were targeted in the meeting. “Their abuse would not have been as bad as what the director (of the trust) got and she’s a woman, and she stayed her ground,” she added. 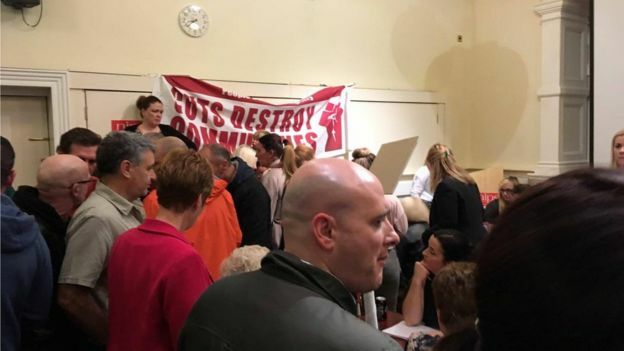 A spokesperson for the trust said there was disruption in the early part of the evening but they were grateful to those who stayed to engage with the process.